What not to miss in Bali: SPA! Bali is not only a destination to explore intricately-designed temples or a place to get your skin tanned, it is also one of the wellness retreat destinations in the world. That said, one thing you shouldn't miss in Bali is spa! While enjoying your Bali holiday, having spa treatments is one of the many things you don’t want to miss to complete your vacation. Bali is among the best spa retreat destinations in the world. In fact, many people come to Bali only to have spa retreats. It's funny though, I and my friends didn't include a visit to a Balinese Spa on our itinerary. Spas in Bali offer a variety of treatments. 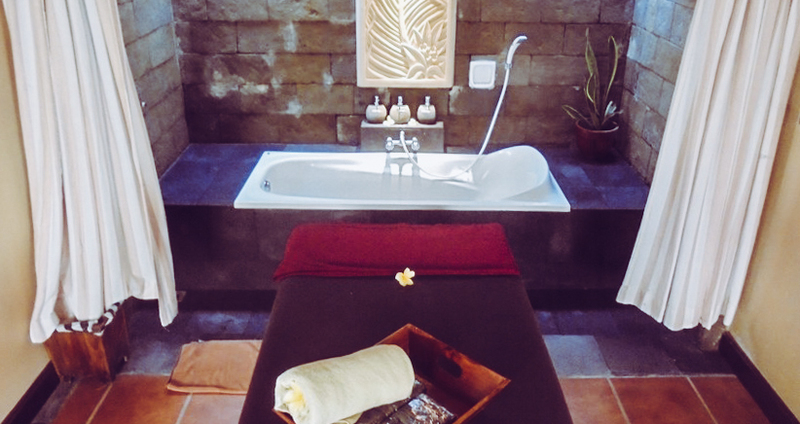 You can get a basic soothing massage or the ones using exotic herbs accompanied by distinct Balinese touches. You can also have the special ones. Just to name a few: there is Warm Herb Ball and Stone Therapy Massage, Strawberry Body Spa, Satsuma Body Spa, Grapefruit or Moringa or Rose body spa. There is also a chocolate body spa that lasts for 4 hours at USD 100. Spa treatments range from 40USD to 300 USD. The cheaper ones are usually the single treatments like a traditional massage for 120 minutes. 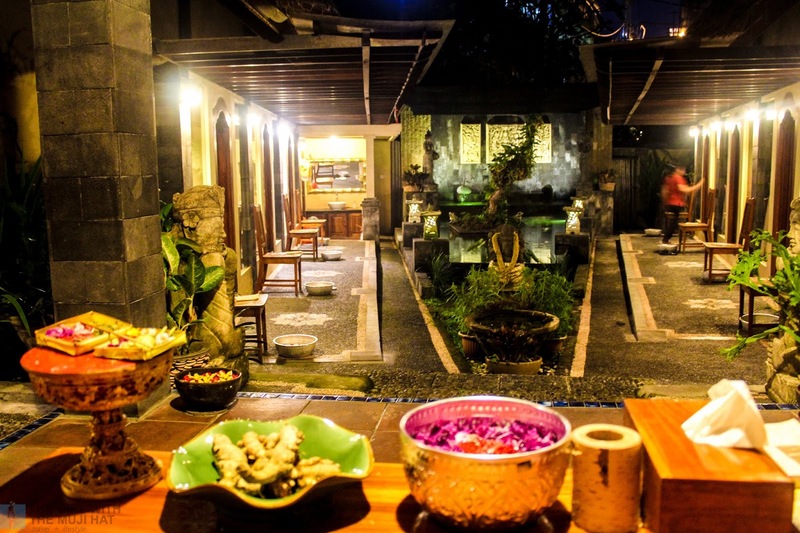 In our hotel Puri Suksma Ubud, basic massage starts at 400,000 IDR that is about 27USD for an hour. 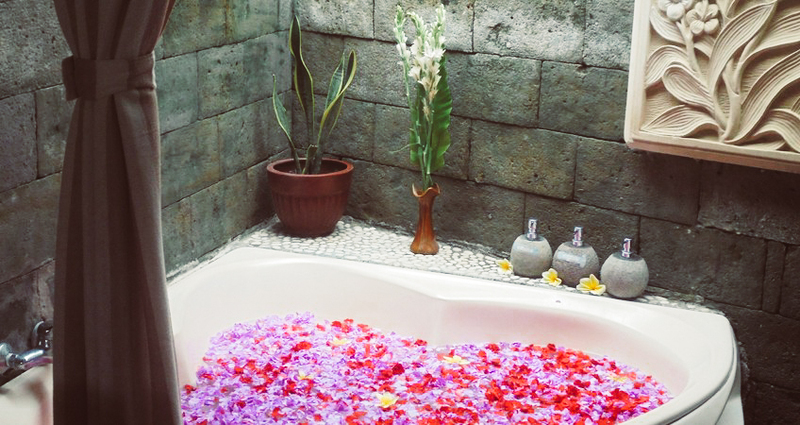 It is still affordable to get a massage from spa salons around downtown Ubud. Also, if you really want to score a deal, check out some brochures at the airport. There are usually discounts like what we had, 40% off any treatments from THE BODY SPA BALI. For a unique Balinese spa experience, you can try Boreh. This is a healing treatment that has traditionally been administered in Balinese villages after a day of hard work. Boreh treatment uses a selection of "traditional pressure massage techniques which help release tension and loosen stiff joints". Sounds very pampering! You can also try the Spa Villas. I think Byukukung is a good example of a spa villa. "A spa villa is a one-room villa that is specially dedicated for spa treatments to contrive more privacy and comfort for the spa guests. One of the best spa villas in Bali is at Lagoon Spa Seminyak. They have 10 units of Spa Villas that can accommodate 2 persons in each one". After our nth attempt, finally, we booked rooms at Byukukung suites and Spa. We chose their Aromatherapy package. At 40USD, we got a 90-minute flower foot bath with a foot massage and full body massage using choices of fragrance oil. These aroma massage oils that are said to bring complete harmony throughout our entire body and also to smoothen our skin. Hmmm... Well, probably it worked! From the reception area, we went all the way down to the spa villa were welcome drinks and hot hand towels waited for us. After we finish our drink, assigned attendants called us and gave us a foot bath and massage. 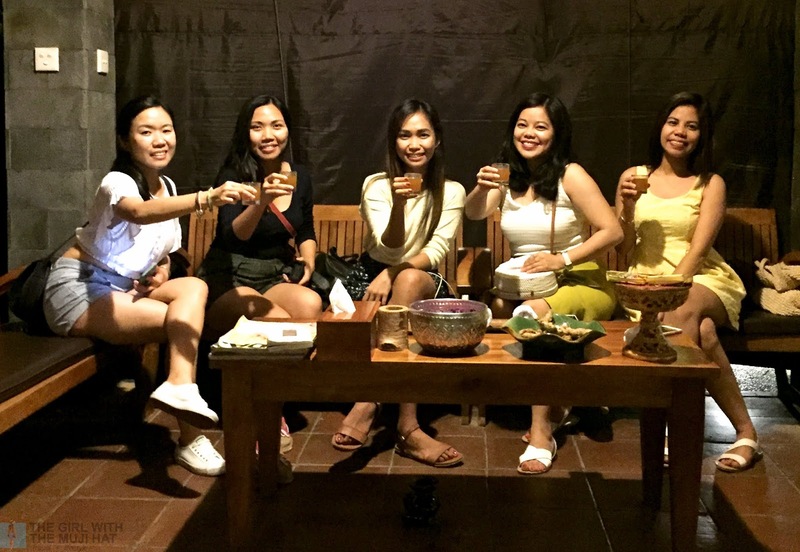 After this, we went to the massage rooms and spent the rest of the hour with the aromatherapy and traditional balinese massage. It was soothing. I can't complain about the massage although I really wished for more pressure. After the massage, I enjoyed a warm bubble bath. Byukukung Suites and Spa is located at Jl. Sugriwa no. 89, Ubud. Getting a spa treatment here also entitles the guest to free use its infinity pool. I think the sight is lovelier during the day because of the refreshing view of the rice terraces. Apparently, rice terraces are ubiquitous in Bali! Truly, the spa was a pampering experience. Next time I hope to return and maybe stay a night or two and experience the fineness of this property! Enjoying our ginger tea... or not haha I ended up drinking all ! Although expending energy is required to enjoy your vacation to Bali, conserving it through spa or yoga is also a positive way to go. Ranked with the best wellness retreat destinations in the world, Bali can definitely send you home rejuvenated and with a lingering healthy approach to life. Do you like this blog post and find it useful? If you do, please share! Let us know your thoughts too in the comment section below! Finally, don't forget to SUBSCRIBE to our newsletter to get more updates, info, guides about Bali and many more destinations straight to your inbox! Happy travelling! 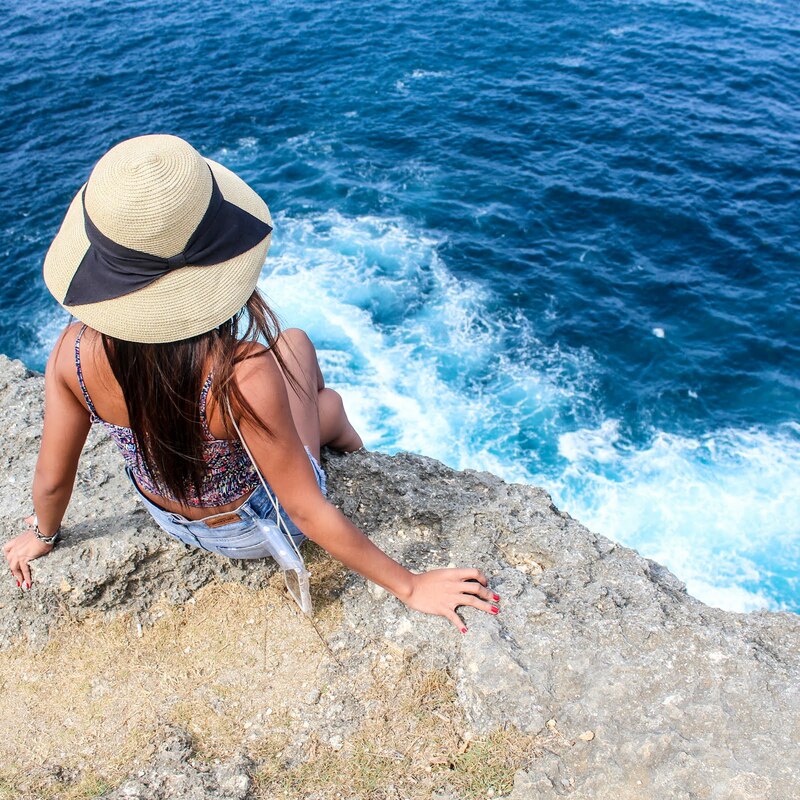 The Girl with the Muji Hat: What not to miss in Bali: SPA!